I just read this article and thought you might want to give it a read, too. It\'s called 10 busiest US airports for the holidays and you can find it here https://www.orbitz.com/blog/2016/11/busiest-us-airports-holidays/. 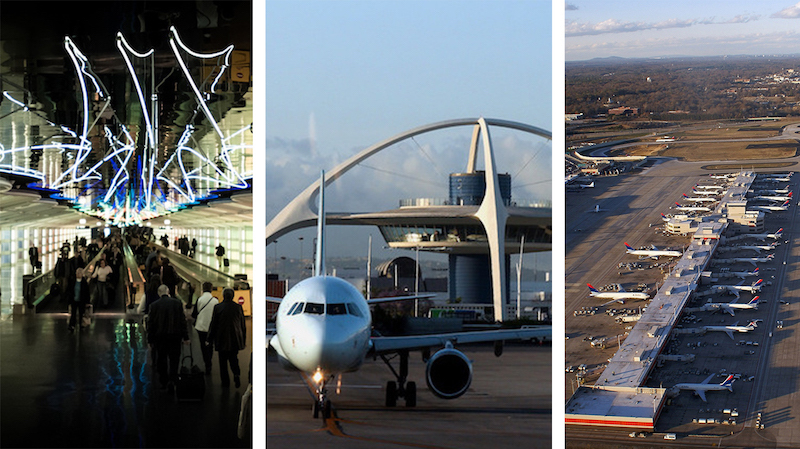 This year, if you’re traveling through Chicago O’ Hare International (ORD), Hartsfield-Jackson Atlanta International (ATL) or Los Angeles International (LAX) for the holidays, you’ll get to experience firsthand one of the country’s top three airports—for crowds, that is. According to the Orbitz® Insider Index, which analyzed Orbitz.com® flight booking data for the top 50 U.S. airports, Chicago, Atlanta and LA ranked as the busiest for Christmas. According to the Orbitz.com 2016 holiday survey, 73 percent of Americans plan to travel for either Thanksgiving or Christmas.1 As always during the holiday season, travelers should anticipate long lines and packed flights. In particular, travel from Chicago O’Hare (ORD) to Denver International Airport (DEN) will likely be the most crowded during Christmas. For the most up-to-date information on holiday travel and the latest deals visit www.orbitz.com/holidays.